Stacey Pullen’s history is intertwined with the evolution of techno. As a legendary figure in Detroit’s famous second wave, Pullen made a name for himself alongside esteemed peers like Derrick May, Juan Atkins and Kevin Saunderson, helping to champion the style we know and love so well today. Check out a preview of his mix below and pickup Balance 028 now. In celebration of Techno Tuesday, we picked Stacey Pullen’s brain on everything from the evolution of his live setup to the legacy of Detroit techno. 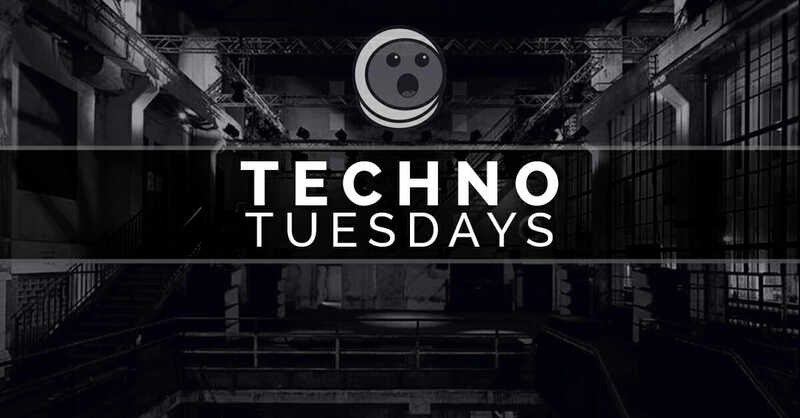 What are your thoughts on the current state of the US techno scene? I’m actually experiencing the new generation here in the US, I’ve been fortunate to be around for quite sometime to understand that music goes in cycles. It’s great to see the young faces at the events and it seems as though techno is cool now, when it’s been cool to us since the beginning. What equipment are you using now for your gigs? How has it been adapting to new technology over the years? I’m using Traktor with the X1 kontroller along with vinyl control. For me I have to keep true to how I began djing. I still buy actual vinyl but I just don’t travel with it. I’ll rip it to WAV file because 20 plus years of traveling with vinyl can throw your back out. Can you speak a bit on the legacy of Detroit techno? When the guys before me started making music they were in their bedrooms trying to impress one another, then it caught on with crowds overseas. We were influenced by Kraftwerk, Tangerine Dream and Italio Disco. I came along right as Kevin, Derrick and Juan were traveling weekly to the UK, Germany and other European cities, and for me to get into the mix with these guys was a dream come true because it wasn’t just about the music, it was a movement and a way of life. Can you tell us about the process of selecting the tracks for your Balance Series compilation? Growing up in Detroit, we had a history of DJs who had radio shows – whether it was a mix or a show that showcased new music. That became the foundations in the art of the mixtape. My approach for my Balance mix was to compile music that I don’t get a chance to play when I’m on the road, but that’s still good music. I also wanted to give the listener a breath of fresh air and play some eclectic melodic tunes, because I love a good melody. Who are some techno artists we should keep our ear out for? I don’t get hung up on who makes this kind of music or who makes that kind of music. Genres are a way of keeping things separate and you don’t enjoy the music for what it is because you have these preconceived notions on what specific types of music is suppose to be about. But if I can name one artist it’s, Fabio Ferro which has a EP coming out on my label Blackflag in January 2016.